SwiftKey's latest update won't radically alter how you type in the days ahead, but it will do its best to remind you that, baby, it's cold outside. A new winter theme is available that coats your keys in blue and covers them with snow. A cold gust of wind follows your trail as you trace over the keyboard, and the letters show up as large snowflakes as you type. The keyboard's background itself also sports a frosty design. If this theme is too cool for your tastes, don't worry, that's not all there is to this update. The installer has been tweaked and will now automatically download language packs. This change is joined by numerous bug fixes. 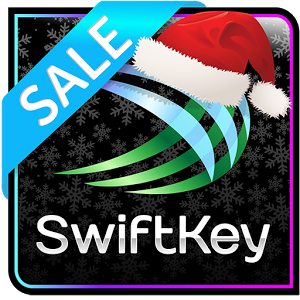 For beta users, SwiftKey has provided an updated APK that also contains the theme. This way you don't have to miss out on a theme that is sure not to integrate well with anyone's UI. But who cares, it's Christmas! Get it below.